Personalized Photo Favor Box - 2" Square Ribbon Wrapped Box with personalized glossy photo sticker. Easy assembly. 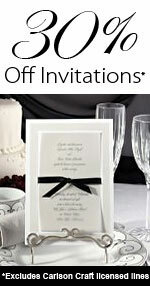 These are also great for graduations, anniversaries, birthdays, corporate logos or any occasion! Email us your photo. We will crop if necessary and place copy where it is best featured. We can also create a solid color background. Personalization is up to 20 letters & spaces on Line 1 and 15 letters & spaces on Line 2. Includes: Favor Boxes, Ribbon & Peel Off Glossy Sticker Photos. There is a minimum order requirement of 20.